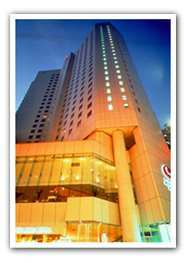 Conveniently located in the heart of Wanchai, Hong Kong’s bustling business, shopping and entertainment district. 5-minute walk to the Hong Kong Convention and Exhibition Centre via a covered walkway. 39 km away from the Hong Kong International Airport - 40 minutes by car. The Airport is easily accessible via a range of transportation networks, such as limousine, taxi, Hotel Shuttle Bus and Airport Express Line from Central (AEL - express train to Airport). The City Check-in service is also located at the AEL Central Station and only few minutes away from the Hotel with free shuttle bus service. Highly accessible by all forms of public transport - Wanchai MTR Station, Wanchai Star Ferry to Kowloon, tram, bus and mini-bus.